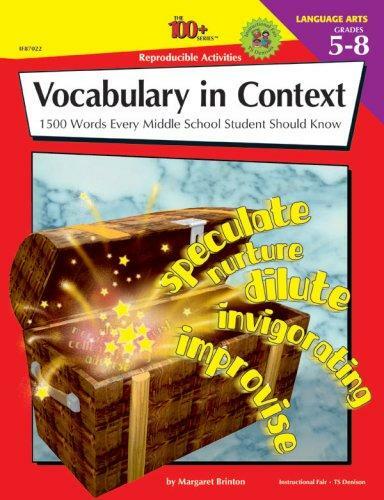 Leoxicon: Teaching vocabulary out of context: is it worth the time? Teaching vocabulary out of context: is it worth the time? Those of you who have been to my workshops or read my articles on TeachingEnglish are perhaps surprised why someone who advocates teaching vocabulary in chunks would even pose a question like this. However, several research papers I read a few years ago while doing my Master's in TESOL made me rethink the issue of contextualisation and try out new things. Besides, as you will see in a moment, learning words in chunks and learning vocabulary in context are not the same things. Traditionally, in the first lesson of the New Year I discuss with my students the main events and news stories of the past year - a news roundup of some sort. This normally involves a quiz which I prepare based on various news items: politics, entertainment, sports, disasters as well as some quirky news stories - (see the 2011 one here). The questions in the quiz are not aimed so much at testing students’ general knowledge, but rather stimulating discussions, encouraging them to look up information on the web and focusing on vocabulary - I make sure that the quiz is lexically rich. Great Britain’s Conservative Party returned to Number 10 Downing Street after they won the election by a narrow margin. Who became Britain’s new Prime Minister? Fans around the world gathered in December 2010 to mark the 30th anniversary of John Lennon’s death. Where was the former Beatle killed? Here we would focus on “win the election by a narrow margin” and “mark the anniversary’ etc. The students had to study the items independently and, as a follow up, try to relate them to the news stories we had talked about in class. For instance, “go to the polls” could be related to the British election story, “pay tribute” could be a reference to John Lennon’s anniversary, “blockbuster” and “adaptation” to various movies discussed in the lesson. Does it still count as decontextualised? I believe so, as the items were given out of context and had to be contextualised later on in the follow-up task. While most of my students are trained in using mono-lingual dictionaries (paper or online), some resorted to a bilingual dictionary of the Morfix variety, which do not provide collocations or examples of usage. Ironically, it was the most advanced student who went one step further and tried to make his own sentences with the given items and got almost all of them wrong. A week later I decided to administer a test (aka "post-test") which involved a gapfill task without a word bank but with the first letter (sometimes first two letters) given. I wanted to see which items were learnt better: the ones taught in class (contextualised) or the ones studies at home (decontextualised). And the result was... There were no significant differences between the items which were introduced in context and the ones assigned to students to learn at home. Do you find the results surprising? Is context overrated? Should we go back to giving our students word lists to memorise at home? I would like to hear your thoughts before posting the conclusions I've drawn from this experiment. Interesting experiment Leo. I am actually NOT surprised by the results. I do not think it makes a whole lot of difference WHEN the words are contextualized, rather that they ARE at some point in the process, and that the ones that eventally "stick" are the ones which have become meaningful for the student, enough to be hooked into the person's memory. Thank you for your comment, Adele. So you say that personalisation is what matters most. Well, I can't but agree with you. In my opinion, relevance to the learner beats contextualisation hands down and my personal experience learning other languages attests to that. I read your blog and I love to read it you should visit my website to information about how to improve vocabulary fast. with help of vocabulary flashcards online. Really, it's very difficult to teach vocabulary completely out of context. For that, I'm reminded of long vocab lists by alphabet that students study for TOEFL tests or the like while I lived in Seoul. What teacher, in their right mind, would ever suggest students do such a thing? Even giving your students those chunks without any surrounding text isn't fundamentally decontextualised, like the situation above, since you are asking them to consider how they'd fit into contexts discussed the day before. I like this idea because it gives students some autonomy and a little tackle of critical thinking. What might be more challenging (and further decontextualised) is giving chunks from lessons several months ago, like a term assignment. Temporal distance from learned context is proportionate to how decontextualised vocabulary is. This interested me immensely, Leo, and I decided to do some research about the idea. I found a really interesting article by Valerie Strauss entitled "Vocabulary twist: Teaching words OUT of context" http://voices.washingtonpost.com/answer-sheet/learning/vocabulary-twist-teaching-word.html in which she describes the work of a teacher called Shannon Reed. Shannon taught 20 out-of-context words a month, doing all sorts of activities around the words, such as MC quizzes, writing sentences, strategies for remembering the words, etc. She says that she slowly but surely started to recognize the words in the pupils' writing tasks! Important, though, to note is that she uses the system TOGETHER with the accepted in-context method. Thank you for your comment, Tyson. I like your point about temporal distance. I knew it was not entirely out of context but some sticklers would only consider it contextualised if it occurs within a text where learners can infer the meaning (which they rarely do but that's beside the point for our present purposes). I remember my Spanish teacher giving us a list of 50 (!) food items with 5 different words for shrimps/prawns but the topic of the lesson was Food so was it in or out of context? Thank you for the link, Ora. I have to read it in more detail but from your summary it seems what she did was similar to my activity: teach out of context, then fit into context. Hi Leo. Thanks for the thought-provoking post. I'd be interested in reading further on this subject of contextualization as i've often asked the same questions you pose here. I always wonder to what extent repetition and the timeline of that repetition has an impact on acquisition. With texts we often give students a preview, context and then review of key vocabulary (hence repeating 3x). Sometimes it's enough, but often there's need for just a bit more. It's that timing question that actually most interests me.